In medium bowl, pour boiling water over bulgur. Let stand 1 hour. In tightly covered container, shake all dressing ingredients. Drain any remaining water from bulgur. Stir remaining tabbouleh ingredients into bulgur. 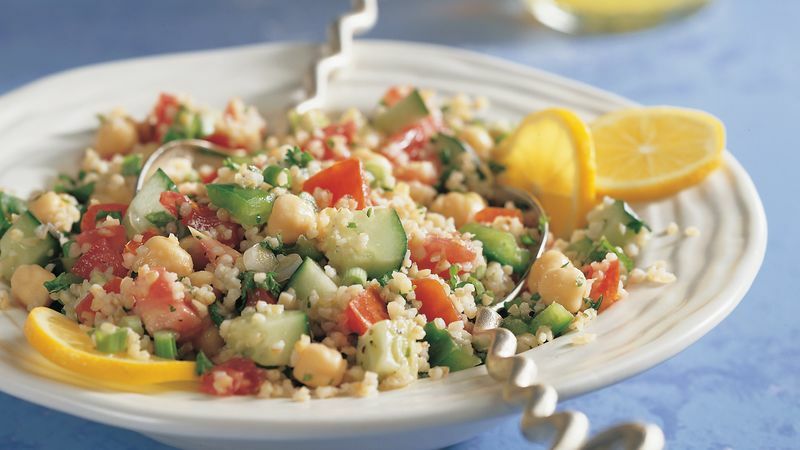 Pour dressing over tabbouleh; toss. Serve this Middle Eastern favorite made with whole grain bulgur with hummus and whole wheat pita.